Ants Actions Correlate with Weather. When it’s Wet Outside, you May get Some Unwelcome Visitors! Many species of ants in NJ do just fine living outdoors and building nests in the ground or in other areas outside. However, rainy weather can force these pests to enter residential buildings. 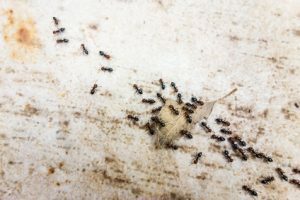 Find out more about the connection between an increase in rainy weather and a higher chance of having an indoor ant problem for our Monmouth County pest control technicians to handle. Rainy weather during fall can end up destroying ant nests in the ground. In some cases, heavy rains can flood tunnels that ants have built in their colonies, which causes them to look elsewhere for a warm, dry place to stay during the winter months. One of the easiest places for ants to go is inside homes, since they can fit through even the smallest gaps and other openings in a home’s exterior. An increase in rain can also make it harder for ants to find food in their usual outdoor spots. 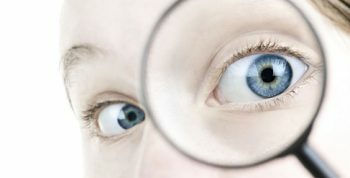 When ants have difficulty locating food, they tend to head indoors where they can easily find crumbs and other food sources in kitchens, cupboards and pantries. If they find plenty of food sources, they’re likely to settle in. If you have an ant problem this winter, you can count on our Monmouth County pest control technicians for help. 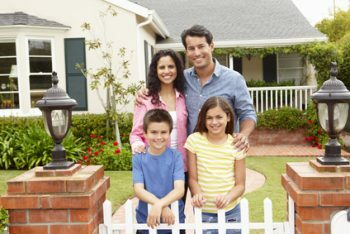 Call Allison Pest Control to get more information on our services for NJ homeowners. Ants are common throughout NJ, making them one of the main reasons homeowners get in touch with Monmouth County NJ pest control companies. Although some ants are more of a nuisance, others are considered health hazards. In the latter category, sugar ants are known carriers of Salmonella. Which Ants Are Sugar Ants? Sugar ants don’t just refer to one specific type of ant. Pharaoh, acrobat and odorous house ants are also commonly called sugar ants. These ants are drawn to sweet food sources, which is how they got their nickname. 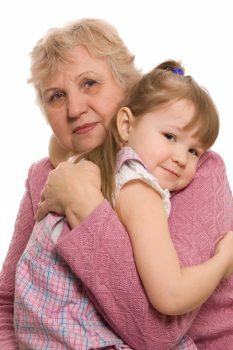 Since they make a beeline for food in residential homes, they put homeowners at risk of getting sick from Salmonella and other illnesses. As sugar ants move through homes, they spread these germs around. 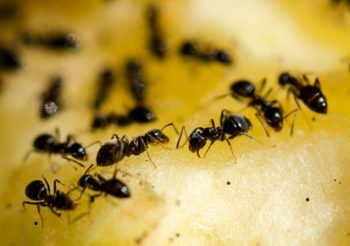 When you’re exposed to these germs, such as by eating contaminated food, you can end up becoming very ill.
What Should I Do About Sugar Ants? If sugar ants have invaded your home, it’s crucial to find out how they got in. Otherwise, you’ll just end up getting more of these ants. Professional pest control experts can help you determine these entry points and seal them up in addition to getting rid of these pests. If you have sugar ants or any other ants in your home, it’s important to get help from Monmouth County NJ pest control companies. Contact Allison Pest Control, so we can help eliminate your ant problem. Do You Hate Ants So Much You’d Burn Down Your Home? One Man Did – by Accident. Ants are no strangers to NJ homeowners and Ocean County NJ pest control companies. These tiny pests routinely make their way inside homes, where they spread germs and ruin food. If you’re tempted to get rid of them on your own, it’s important to watch what you use. One man in Maine accidentally ended up burning his parents’ house down when he tried to use fire to get rid of an ant infestation. The man used wooden matches to eliminate these pests, which ignited combustible materials nearby. Flames quickly spread in the home, destroying it and claiming the lives of three family pets. This unfortunate story is a reminder of the importance of using safe methods to get rid of ants. Dealing with an ant infestation needs to be done as carefully as possible to avoid damage or injuries and reduce the risk of having these pests return. This means not using fire or other dangerous methods of pest control. Letting professional pest control experts handle it is the most effective way to eliminate ants for good and keep them from coming back into your home. If you’re having an ant problem in your home, leave it to Ocean County NJ pest control companies to help you out. Contact Allison Pest Control, so we can rid your home of these tiny pests. Researchers Identify that Ants Need Downtime Too! Ants Need Rest and Relaxation Too! Ants are known for being busy little creatures, but they do rest at times. In fact, scientists have found that ants actually achieve some form of work-life balance that we humans could learn from. Researchers at Missouri S&T have found evidence that ants take turns staying busy rather than being active all the time. While some ants in a colony take a break, others step in to make sure there’s plenty of labor to serve the colony. Then, the busy little ants take their turn resting, and the ones that were resting get back to work. Researchers noted that larger colonies focused even more on this work-life balance, which helps conserve energy for the entire colony. This research could lead to improved ways of achieving work-life balance for humans. Since ants conserve energy, this results in improved productivity for the colony as a whole. We might also learn better ways to manage resources within communities thanks to this research. Even with rest times, there are still plenty of ants that stay busy causing problems for NJ homeowners. Monmouth County NJ pest control companies can help keep this under control by reducing their numbers and getting rid of infestations. 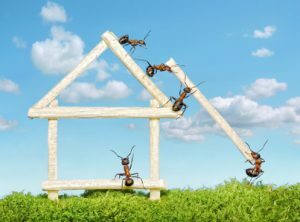 If you have an ant problem in your home, Monmouth County NJ pest control companies can help. At Allison Pest Control, our pest experts can eliminate ants from your home. Seen These Insects Yet in Your New Jersey Home? Be on the Lookout for Pests in Your Home. Awareness is the First Call to Action. NJ is home to tons of different insect species. While many of these live outdoors, some of them make their home inside your home. You might need to hire NJ pest control services if you end up having one or more of these pests in your house. These are just some of the bugs that can be a nuisance in residences. There are 67 beetle species in NJ, which means you have a good chance of seeing at least one of them in your home. Some of the more common species include varied carpet beetles, jewel beetles and Japanese beetles. You might also have emerald ash borers on your property, an invasive species that destroys ash trees. You’ll find 30 species of true bugs in NJ, but hopefully, you won’t see them in your home. Some of these species, such as the brown marmorated stink bug, can be a big nuisance. Other species that you might see around include giant water bugs, leaf-footed bugs and hazelnut lace bugs. NJ has 40 species of ants, wasps, bees and similar bugs. Common species include black carpenter ants, honey bees, golden northern bumble bees, red pavement ants and yellow jackets. If you have bees, beetles or other pests in your home, contact Allison Pest Control right away. Our NJ pest control services can rid your home of common household pests.